Arsenal look the best club by far that we have seen in the first quarter of the season. But can they go on to win the league? Here are four reasons why. If there is one thing that every team challenging for the title needs then it's definitely to have enough depth in the squad for all parts of the pitch. They are spoilt for choice when it comes to midfielders, Mathieu Flamini and Mikel Arteta provide defensive cover and world beaters like Mesut Ozil and Santi Cazorla have magical abilities on the ball. Then, Theo Walcott and Alex Oxlade-Chamberlain can infuse that extra bit of pace when it is most needed and this paired with the versatility of Jack Wilshere and Aaron Ramsey means that the Gunners have one of the top midfields in the division. When you look at Arsenal's competitors, they have had mostly had managerial changes. True Jose Mourinho is already suited to Chelsea, but this one is easy. During Sir Alex's time at Old Trafford, Arsene Wenger was the only manager not to leave his club. When you take a look at what managerial consistency brought Manchester United for 26 years, then there is no reason why Wenger can't do it with the Londoners. Barcelona, Bayern Munich, and now Arsenal. All of these teams have been playing stylish football for umpteen years and the two formers have gone on to dominate Europe. If I'm correct, the way Arsenal have approached this season, this could be the start of an amazing era for Arsenal. Probably the heart of a title winning side's mentality, consistency means confidence, confidence means good football and that all equates to is points, points and even more points. Arsenal have always been consistent, the fact that Arsene Wenger hasn't ever finished outside the top four tells you that. Arsenal have what it takes to win the league this season. How will they fare in these four fundamental aspects this season? Can they go on to win the league? 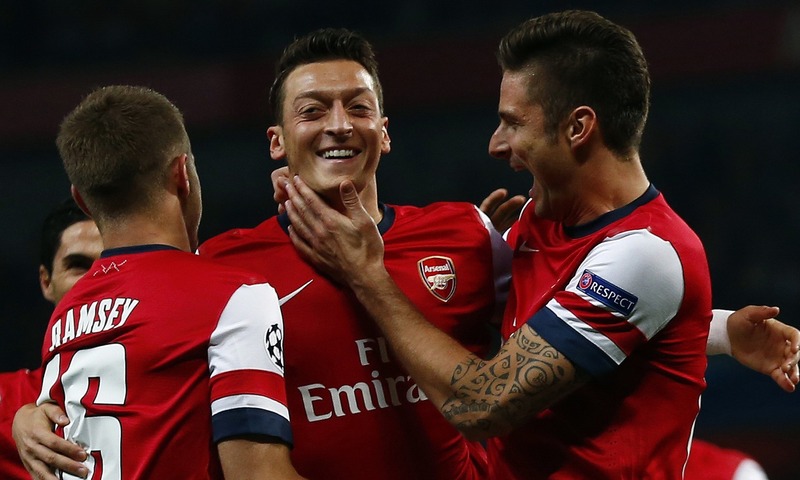 Four reasons why Arsenal can win the Barclays Premier League in the 2013/14 season.